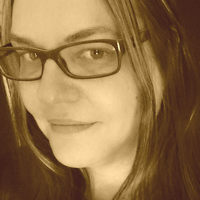 Karen J Carlisle is a writer and illustrator of speculative fiction - steampunk, Victorian mystery and fantasy. Her first book, Doctor Jack and Other Tales, was published in 2015. She Karen J Carlisle is a writer and illustrator of speculative fiction - steampunk, Victorian mystery and fantasy. Her first book, Doctor Jack and Other Tales, was published in 2015. 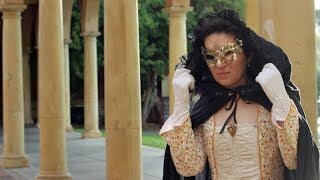 She has had articles published in Australian Realms Roleplaying Magazine and Cockatrice (Arts and Sciences magazine). Her short story, An Eye for Detail, was short-listed by the Australian Literature Review in their 2013 Murder/Mystery Short Story Competition. Karen's short story, Hunted, is featured in the Trail of Tales exhibition in the Adelaide Fringe, 2016. She currently writes full-time and can often be found plotting fantastical, piratical or airship adventures. To ask Karen J. Carlisle questions, please sign up. (Should be live 22nd April, 9.30 pm (Australian time) or 12 noon (ish) (GMT). Penny is a supporter of authors, especially Steampunk fiction, LGBTQIA+ fiction and Romani fiction. "What a reading delight!! 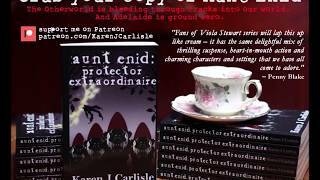 This dreadpunk (steampunk horror) anthology is a perfect way to get in the Halloween mood. These story’s are reminiscent of classic penny dreadfuls and gothic horror. We’d love your help. Let us know what’s wrong with this preview of DeadSteam by Bryce Raffle. We’d love your help. Let us know what’s wrong with this preview of The Shrunken Head by Lauren Oliver. A fan group devoted to the discussion of all books and things Gail Carriger.